Ancient Egyptian Glass & Faience Tubes & Gold 1350 B.C. w/modern gold wire. 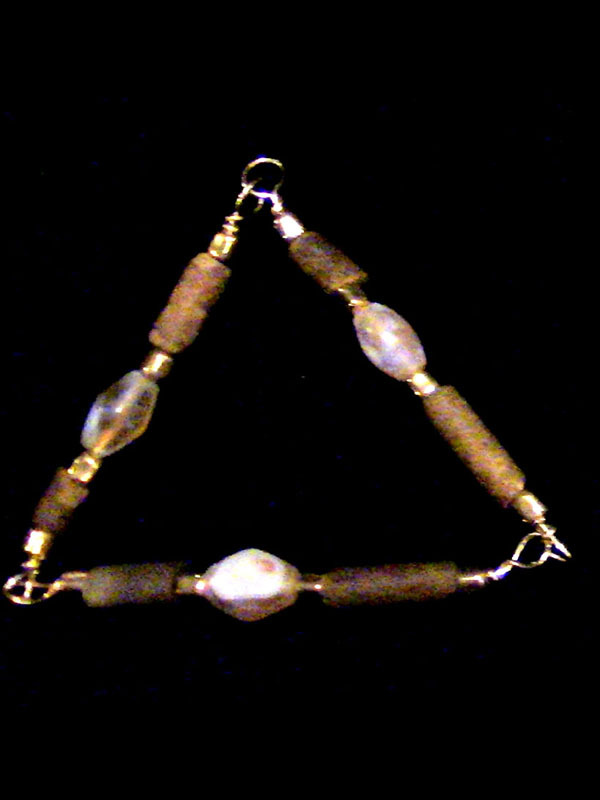 The Triad above is really not a workhorse, in the sense that the tube beads are very very rare and very very delicate. Tubes of this type do not generally survive at full length — most were broken in antiquity, and few of them have made it in one piece into the 21st century, although these, miraculously, have done so. This is an important piece for a serious exhibit collection, and would not be good to use on a daily basis.